They had a lot of weather in the Lakes at the w/e. 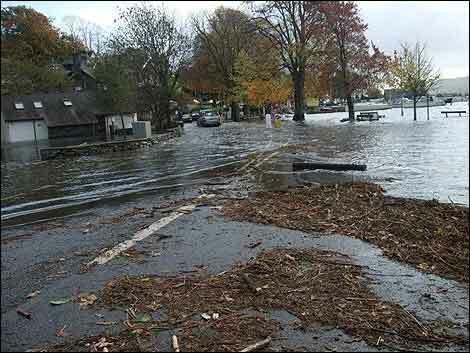 I have had a report that Windermere was 5' higher than normal and looking at the pics on the BBC Cumbria site I can believe it. Having 15' of chain on a mooring that is normally 6' deep don't look too OTT just now. I normally unload my car just to the right of the pic! Do you want any more? Visited the boat today and the gangway to my pontoon is horizontal. Only about 1' of the outer marina wall showing above the water - and it's still only October.